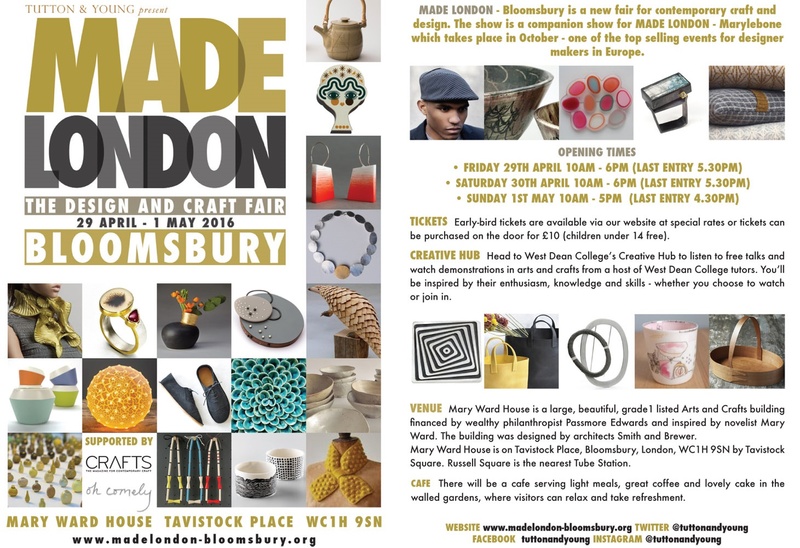 Very pleased to have been accepted to exhibit at Made London – Bloomsbury…….a leading Design and Craft fair set in the beautiful Mary Ward House in Bloomsbury. The house is worth a visit alone (it was an arts eduction centre for the poor of London), and the list of exhibitors in Ceramics, Woodwork, Jewellry among others is of the highest standard! We’ll be there Friday 29th to Sunday 1st May, with a broad selection of one-off boards and unique pieces – and would love to see you there!